The government knows very well that our community doesn't want mining. We are all here self-employed. We will not approve to so called "development" that destroys our land. 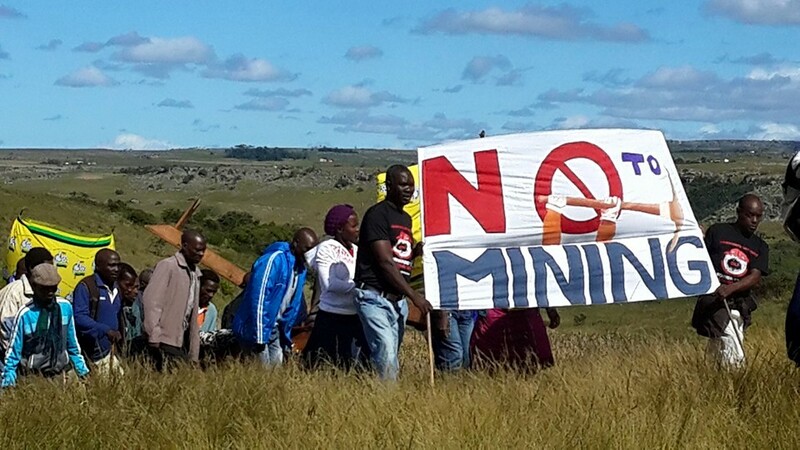 Umgungundlovu traditional authority and ACC will now challenge Minister Zwane and the corrupt forces behind the Wild Coast mining project in court. There will never be mining here. The people shall govern. ACC secretary: Nonhle Mbuthuma 073 4262955. The Umgungundlovu Traditional Authority and the ACC are represented by LRC in Cape Town and Pietermaritzburg and Richard Spoor Inc. in Johannesburg. For legal issues in the coastal Amadiba community struggle against mining: Henk Smith 0832661770, Thabiso Mbhense 0711099340 and Richard Spoor 0836271722.